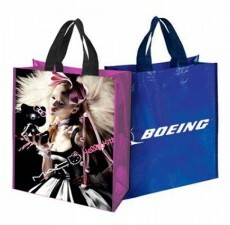 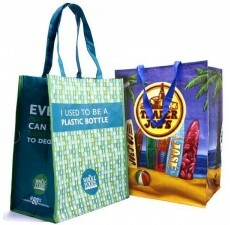 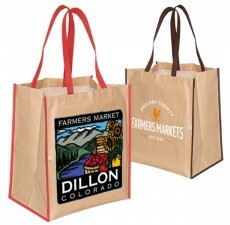 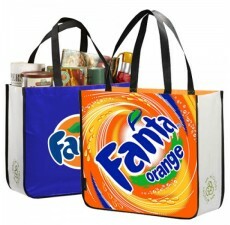 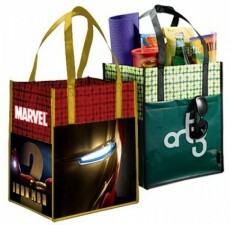 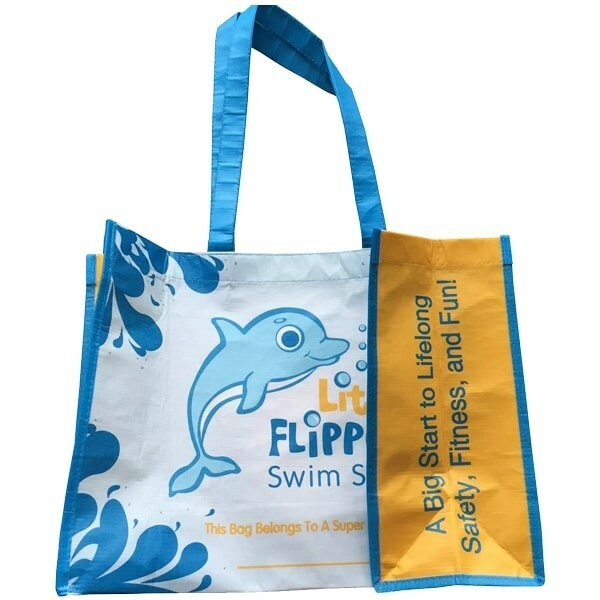 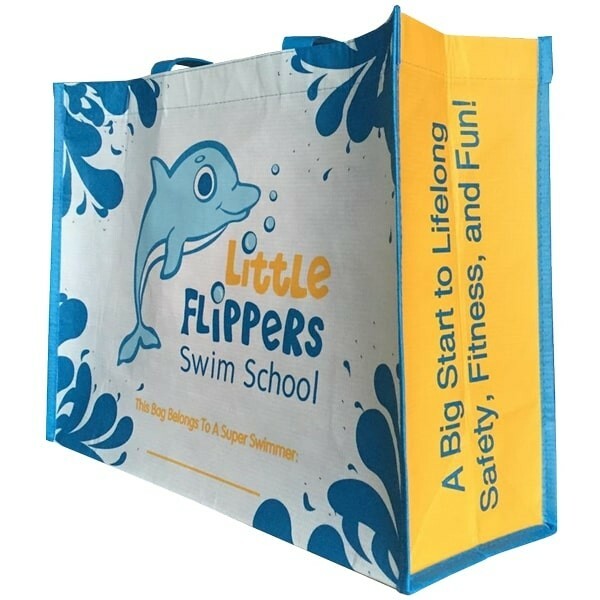 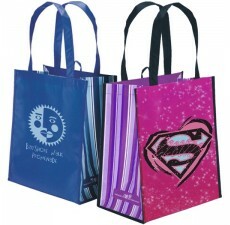 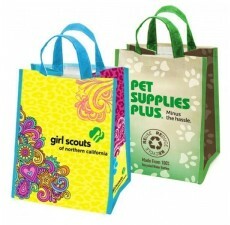 These Large Recycled PET Poly Bags have the potential to modernize your brand, as the strong appeal of custom color options and full bleed graphics across the entire bag are far from boring. 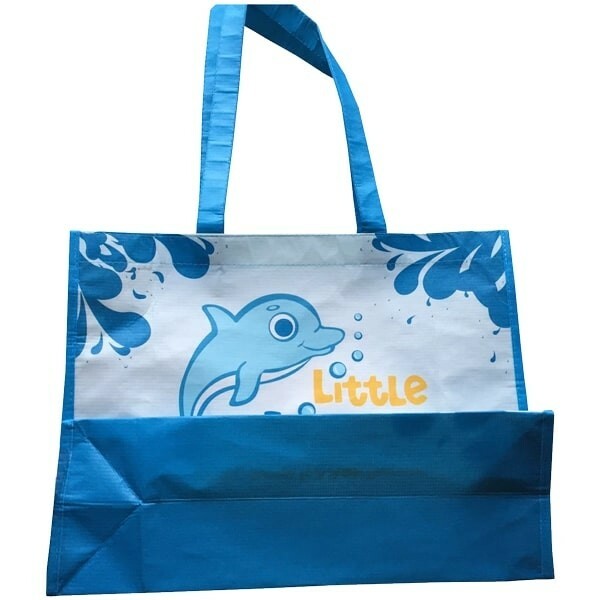 Made from 100% recycled material which is 100% recyclable in itself, you can be rest assured your company is part of the green movement. 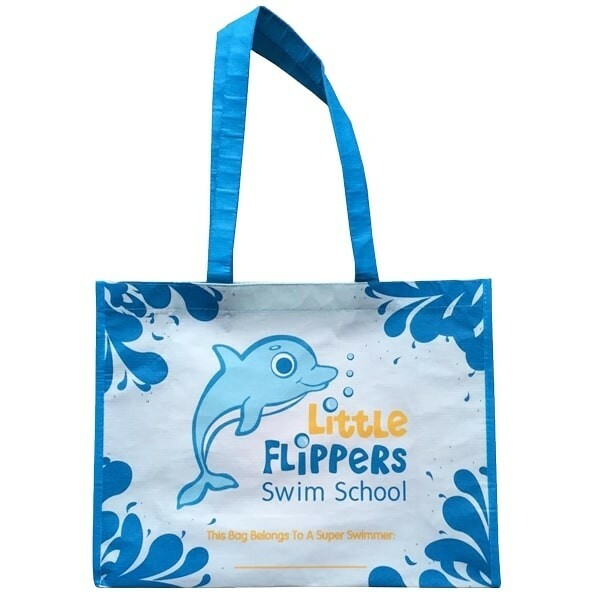 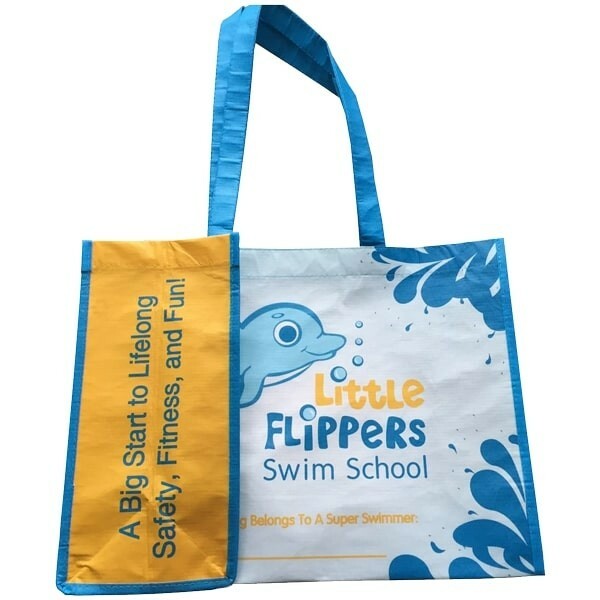 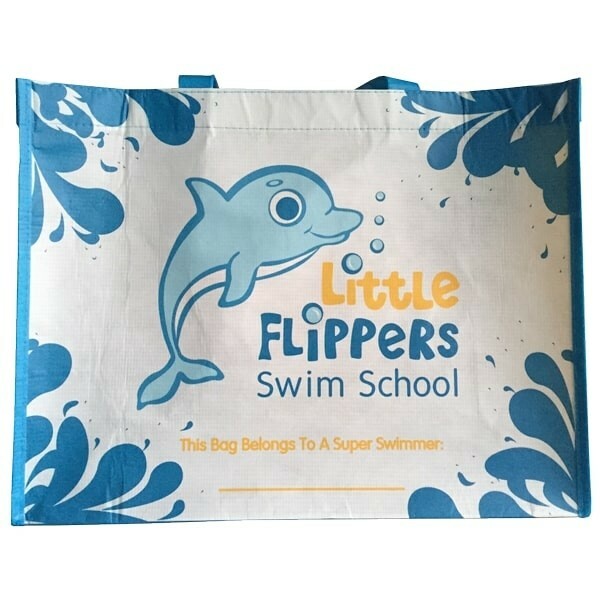 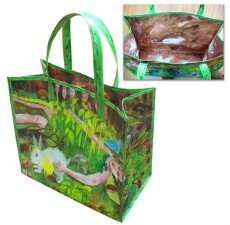 The 160 GSM fabric is water-repellant and so easy to maintain that you will never experience a loss of imprint due to heavy use, washing or UV exposure.